BLH Guarding Solutions™ are based on molded modular plastic polymer components that are easy to install and allow simple innovative clip and snap on installation. BLH Guarding Solutions™ are based on the same components plus more as used in our BLH Stop Drop™ Barricading. Additional features have been added due to the wide variety of rotating and moving machinery that requires guarding with doors and hinges for entry points and inspection points if required. 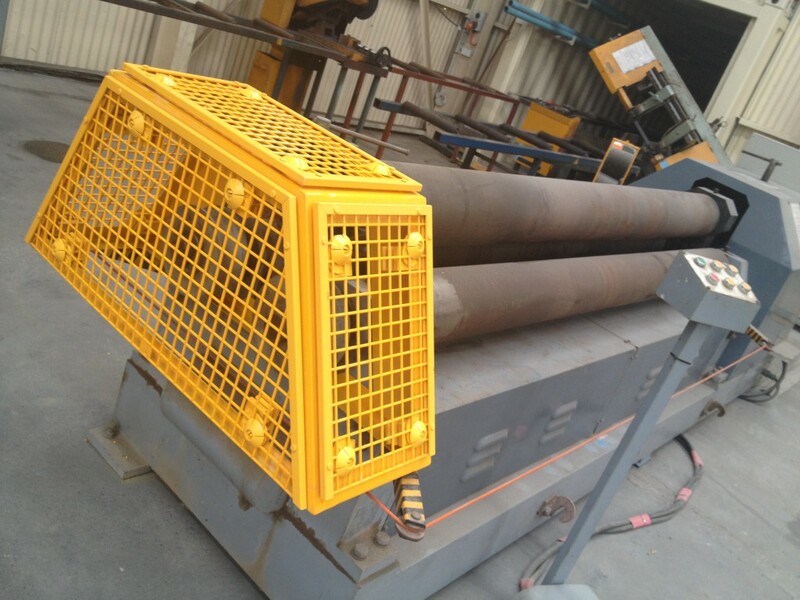 One of BLH Guarding Solutions™ biggest advantages over current guarding methods is combating the high corrosive areas where steel is sometimes not an option. The Offshore Oil and Gas Industry is a perfect example where salt corrosion is inevitable, as are remote mine sites with corrosive waters being used in processing operations. BLH Guarding Solutions™ offer a universal solution to prevent injuries, incidents and costs arising from equipment that requires guarding. With it being cost effective and easy to install wherever the application is required, it is a perfect solution.